Thirteen-year-old St Mary’s College Student, Kyle Phillip, will enjoy the privilege of carrying the Trinidad and Tobago flag at the opening ceremony of the World Cup in Russia this Thursday. 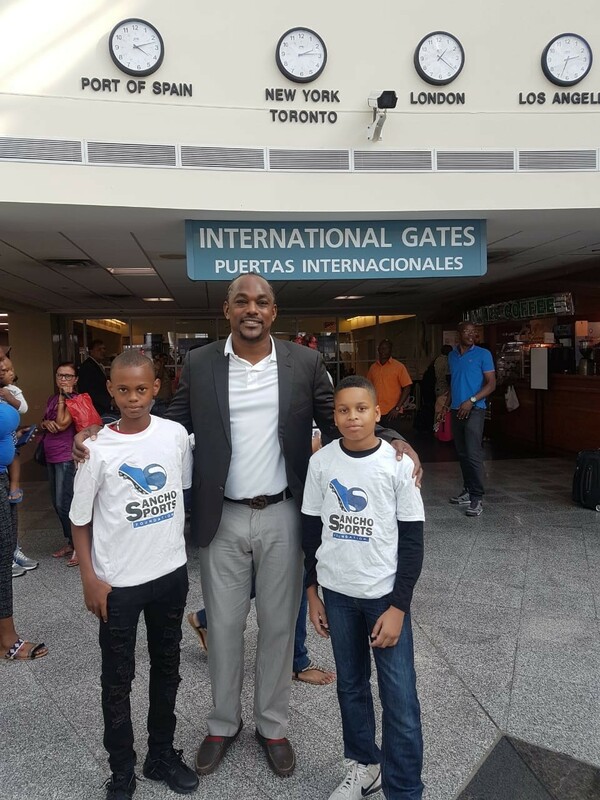 The Diego Martin teen is currently in Russia alongside Khileal Remy-Gould of Grant Memorial School representing T&T at the Football For Friendship (F4F) International Youth Forum sponsored by Gazprom. They were both selected after a nationwide competition held by Brent Sancho and the Sancho Sports Foundation back in April and have been competing in Moscow since last Friday. Sancho, who heads the T&T delegation in Russia for the F4F Competition, highlighted the significance of the moment. Phillip has achieved much success in his short but bright career. After a prolific final season at Barataria A.C. primary school with 30 goals, Phillip scored nine goals including two hattricks in his inaugural season for CIC’s U-13 team last year. At club level, he is an important member of the T&T Maestros team that won the 2017 Republic Cup and Caribbean Charity Shield. An elated Phillip could barely contain his excitement and described how the surprise was revealed to him. “I was a bit disappointed after being knocked out at the quarterfinal stage of the International Tournament. That night when we got back to the hotel, the program administrators told me that some of us had to wake up at 5:30 am to head to the Luzhniki Stadium. We thought that we would be doing a stadium tour, but when we arrived outside they revealed that we would be a part of the opening ceremony and we were heading straight into the rehearsals. I’m still in shock and somewhat nervous, but Brent has given me some good advice on how to handle the big day tomorrow,” he said. World Cup enthusiasts can catch a glimpse of Kyle carrying the T&T flag proudly at the opening ceremony in Russia which kicks off Thursday morning at 9 am T&T time. Would The CIA Depose DJW?